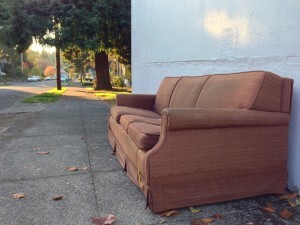 Just off SE 52nd Ave, I found this couch with a paper FREE sign resting on it. This late in the season it is especially auspicious to find discarded couches. The weather is still good enough for people to leave couches by the street.